Interested in licensing the music of Jay Hardway? With big successes already achieved in his still short career, Jay Hardway is proving to be a special one. His collaborations with wonder boy Martin Garrix are big dance floor bangers, receiving worldwide support from the biggest names in the scene as well as his solo work, which he recently released. 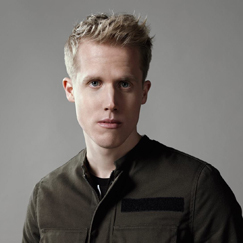 Born in small town Drunen, Jay Hardway started producing music when he was fourteen years old. Starting with small gigs in pubs by the time he reached 18 years of age he was playing for bigger crowds in clubs. The rising star, whose real name is Jobke Heiblom, was also noticed by Spinnin’ Records, the worlds leading most independent dance record label and is now represented by ACE Agency, whose roster includes big names such as Afrojack, Martin Garrix, Sidney Sampson and NERVO. Inspired by Tiësto’s DJ-ing, and by the productions of Afrojack, Laidback Luke and Vato Gonzalez, he developed his own skills. Four years later, after doing lots of hard work and producing, Jay Hardway has multiple releases on his resume. His track ‘Error 404’ with Martin Garrix, released in March 2013, reached #16 in the Beatport chart. The collaboration with Martin Garrix was such a big success that the two teamed up again on ‘Wizard’. With support from the biggest DJ’s in the world, 3,6 million views on YouTube in one week, a #1 position in the DMC Buzz Chart a week before release, and a phenomenal #1 position on Beat port two days after the release, ‘Wizard’ has become one of 2013, biggest EDM hits. In 2014 Jay dropped his first solo track ‘Bootcamp’, which ended up high in the Beatport chart. And that’s not all for 2014! With some cool collaborations ahead of him and, his frequently posted impressive ‘Inspire’ podcasts and big gigs in clubs like Hakkasan Las Vegas and festivals all around the globe like Electric Daisy Carnaval New York, Dance Valley and MTV Mobile Beats it’s safe to say that this boy is set for great things!